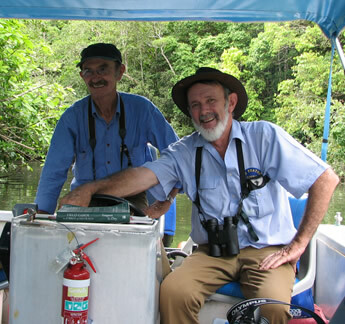 Conditions are favourable to see crocodiles, tree snakes, and the varied bird life. Regular sightings include Helmeted Friar Bird, Metallic Starlings, Bush Thick-Knee, Papuan Frogmouth, White Bellied Sea Eagle, Shining Flycatcher, and Forest, Azure and Little Kingfishers. Routes may be changed or departures cancelled in the interests of safety at the discretion of Fine Feather Tours based on weather conditions and accessibility.